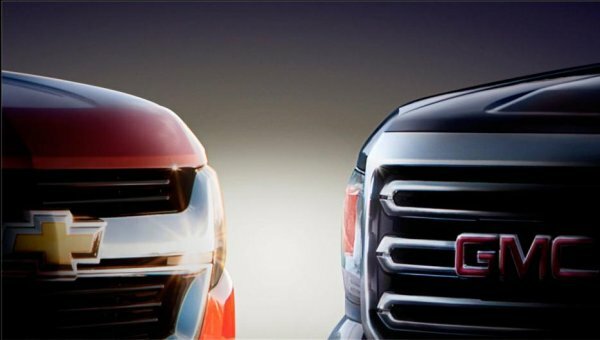 Details are limited right now but it is believed that the 2016 GMC Canyon and Chevrolet Colorado will each offer a diesel engine. Unlike the beefy eight cylinder Duramax diesels in use right now in the heavy duty versions of the GMC Sierra and the Chevrolet Silverado, the Canyon and Colorado diesels will be four cylinder mills expected to measure either 2.5 or 2.8 liters…although they will still sport the Duramax name. General Motors currently uses four cylinder diesels with both of those displacements in non-American markets to power their midsized pickups but the next generation Canyon and Colorado should officially introduce the domestic market to those compact yet powerful oil burners. It is expected that the diesel powered GMC Canyon and Chevy Colorado will arrive about a year after the next generation midsized GM pickups are introduced. It is expected that the new Colorado and Canyon will begin reaching consumers in the fall of 2014 as 2015 model year vehicles so the diesel powered trucks coming a year after that will most likely be built for the 2016 model year. Just a few years ago, it was unheard of for anything but a heavy duty pickup truck to offer a diesel engine but that line of thinking came to an end with the introduction of the 2014 Ram 1500 with Chrysler’s new 3.0L EcoDiesel engine. Nissan has since announced that the next generation Titan half ton pickup will feature a powerful Cummins Turbo Diesel V8 to rival the added diesel power of the Ram 1500. At the same time, there have long been rumors that both General Motors and Ford Motor Company were considering diesel power for their half ton trucks as well – although Ford seems to have found a similar mix of power and efficiency with their EcoBoost technology. Thanks to the Ram brand and the upcoming Nissan Titan, half ton buyers are now able to enjoy the same premium prices and high levels of power that heavy duty truck owners have exclusively bragged about for years but it sounds like General Motors is going to go one step further. In introducing the2016 GMC Canyon and Chevrolet Colorado with a four cylinder Duramax diesel, the American automaker stands to steal a whole lot of thunder from the likes of the Toyota Tacoma and the Nissan Frontier. With the departure of names like the Dodge Dakota and the Ford Ranger, the Canyon and Colorado were left to battle the Japanese midsized trucks on their own and the introduction of a compact and efficient yet still very powerful 2.5L or 2.8L Duramax diesel could allow the midsized GM trucks to offer unsurpassed fuel economy and power – at the same time. I am left wondering if General Motors will introduce the 2015 or 2016 GMC Canyon and Chevy Colorado with the small Duramax diesels without some intention of offering a diesel mill in the Silverado and Sierra 1500 in the near future. General Motors has already become the first American automaker in recent history to offer a diesel powered passenger car with the new Chevy Cruze Diesel and it would seem unlikely that their biggest and smallest trucks sold in the US would get diesel technology but their top selling half ton pickups would be left without it, especially when competitors from Ram and Nissan offer diesel power in their half ton trucks. Of course, with the rumored arrival of the Duramax diesel powered GMC Canyon and Chevrolet Colorado over two years away, a great deal could change in the world of automotive technology before those trucks reach dealerships. Vast advancements in clean diesel technology combined with increased competition could lead GM to push production of the Duramax powered smaller trucks forward while new forms of technology could either push these oil burning midsized trucks back or out of the picture altogether.